The Torah, in Leviticus 24:10, tells us that the son of an Israelite woman and an Egyptian man went out among the Children of Israel, and fought in the camp with the son of an Israelite man. 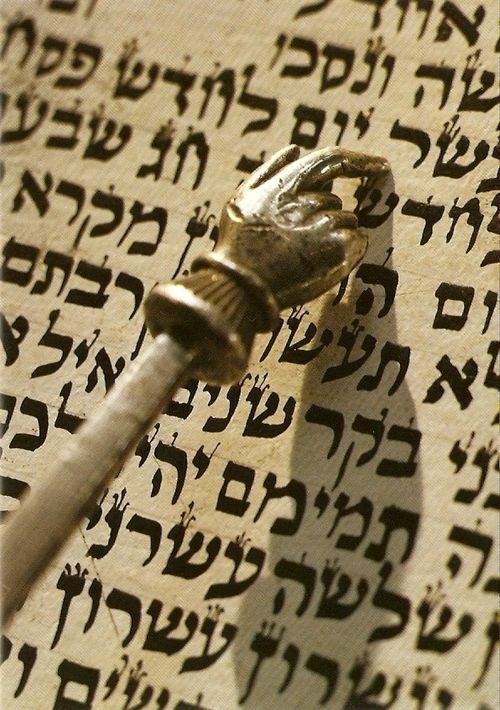 The next verse states, וַיִּקֹּב בֶּן הָאִשָּׁה הַיִּשְׂרְאֵלִית אֶת הַשֵּׁם, וַיְקַלֵּל, וַיָּבִיאוּ אֹתוֹ אֶל מֹשֶׁה, the son of the Israelite woman pronounced the Holy Name of God and blasphemed, so they brought him to Moses. After identifying that the man’s mother’s name was Shlomit the daughter of Divri of the tribe of Dan, we are told that they placed the blasphemer in detention to clarify through God what should be done with him. God instructs Moses that the blasphemer is to be removed to outside the camp, and all those who heard him blaspheme shall place their hands on his head and the entire assembly shall stone him to death. In Leviticus 24:23, the Torah confirms that the Children of Israel took the blasphemer outside the camp, they stoned him to death and the Children of Israel did as the Lord had commanded Moses. Moses then tells the people to stand by while he hears what the Lord will command. In Numbers 9:10-11, G-d informs Moses that there will be a make-up date for those people who are unable to bring their Pascal sacrifices at the proper time, and that thirty days later, in the month of Iyar, they will be permitted to bring the Passover offering together with matzah and marror. The third case is found in Shelach, Numbers 15:32. There the Torah states that while the people were in the wilderness, וַיִּמְצְאוּ אִישׁ מְקֹשֵׁשׁ עֵצִים בְּיוֹם הַשַּׁבָּת, the people found a man violating the Sabbath by gathering wood on the sacred day. They brought him to Moses, Aaron and the entire assembly. The Torah informs us that he was placed in custody, for it had not been clarified what should be done to him. Eventually, God says to Moses that the man shall be put to death and that the entire assembly of Israel shall pelt him with stones outside the camp. The Torah reports that the perpetrator was stoned by the people and put to death. The Torah, in Numbers 27:5, reports, וַיַּקְרֵב מֹשֶׁה אֶת מִשְׁפָּטָן לִפְנֵי השׁם, and Moses brought their claim before the Lord. God responds that the daughters of Zelophehad are indeed correct, and that they shall surely be given possession of their father’s inheritance in Israel among the other tribes. The commentators point out that in the case of the people who are impure and couldn’t bring the Pascal sacrifice, as well as in the case of the daughters of Zelophehad, the reply from God was immediate, whereas in the case of the blasphemer and the person gathering wood on Shabbat, there is a delay. The blasphemer and the one who gathered wood were placed in detention until the final verdict was clarified. There are those who say that Moses actually recused himself in these four instances because he felt that he had a direct relationship with each of these cases. Moses is always somehow involved, either because he is directly associated with the conflict itself or because of his status as the primary decision of law. Of course, Moses knew the proper disposition in each of these cases, but he felt that it would appear to be far more equitable if God adjudicated the issues.